New Price! This 2013 Jeep Wrangler Unlimited Sport in Black Clearcoat features: CARFAX One-Owner. CLEAN CARFAX, Air Conditioning, Black 3-Piece Hard Top, Brake assist, Compass, Electronic Stability Control, Freedom Panel Storage Bag, Front Bucket Seats, Front fog lights, Outside temperature display, Power steering, Rear Window Defroster, Rear Window Wiper/Washer, Split folding rear seat, Steering wheel mounted audio controls, Sunrider Soft Top, Tilt steering wheel, Tinted Rear Quarter & Liftgate Windows. Odometer is 2360 miles below market average! At Mohawk Honda "We go out of our way to please you!" This Silverado is ready to go! We reconditioned this Chevy to include 4 new tires, rear brakes and services! New Price! This 2015 Chevrolet Silverado 1500 LT in Black features: CARFAX One-Owner. Clean CARFAX. 6 Speakers, ABS brakes, Alloy wheels, AM/FM radio: SiriusXM, CD player, Compass, Deep-Tinted Glass, Electronic Stability Control, Emergency communication system, EZ Lift & Lower Tailgate, Heated door mirrors, Illuminated entry, Low tire pressure warning, LT Convenience Package, Overhead console, Power windows, Premium audio system: Chevrolet MyLink, Rear step bumper, Remote Keyless Entry, Remote keyless entry, Single Slot CD/MP3 Player, Speed control, Traction control, Trailering Equipment, Trip computer. Odometer is 8514 miles below market average! At Mohawk Honda "We go out of our way to please you!" NEW TIRES installed and services complete... this Silverado Heavy Duty is ready to go! New Price! Recent Arrival! This 2017 Chevrolet Silverado 2500HD LTZ in Graphite Metallic features: CARFAX One-Owner. Clean CARFAX. ABS brakes, Air Conditioning, Automatic temperature control, BOSE Sound w/7 Speaker System, Brake assist, Deep-Tinted Glass, Dual-Zone Automatic Climate Control, Duramax Plus Package, Electronic Stability Control, Engine Block Heater, Exterior Parking Camera Rear, Front fog lights, HD Radio, Heated & Vented Front Seating, Heated Leather Wrapped Steering Wheel, LTZ Plus Package, Memory seat, Off-Road Z71 Package, Power driver seat, Power passenger seat, Power Sliding Rear Window w/Defogger, Power Sunroof, Power windows, Power Windows w/Driver Express Up & Down, Power-Adjustable Pedals, Radio: AM/FM Stereo w/Chevrolet MyLink/Navigation, Rear Vision Camera, Remote Keyless Entry, Remote Locking Tailgate, Remote Vehicle Starter System, Security system, SiriusXM Satellite Radio, Speed control, Steering wheel mounted audio controls, Traction control, Trailering Equipment, Trip computer, Universal Home Remote, Wheels: 20" 6-Spoke Polished Aluminum, Wireless Charging. Odometer is 13148 miles below market average! 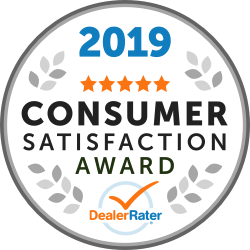 Awards: * 2017 KBB.com 10 Most Awarded Brands At Mohawk Honda "We go out of our way to please you!" BEST COLOR! Hard to find Ram 1500 Sport in great shape! We spent $1300 in the shop reconditioning this truck so you don't have to! New Price! Recent Arrival! This 2016 Ram 1500 Sport in Yellow features: CARFAX One-Owner. Clean CARFAX. 115V Auxiliary Power Outlet, 6 Speakers, ABS brakes, Air Conditioning, Auto High Beam Headlamp Control, Automatic temperature control, Black Tubular Side Steps, Brake assist, Bucket Seats, Class IV Receiver Hitch, Compass, Convenience Group, Electronic Stability Control, Folding Flat Load Floor Storage, Front dual zone A/C, Front fog lights, Full Length Upgraded Floor Console, Heated Front Seats, Heated front seats, Heated steering wheel, High Back Seats, Keyless Enter-N-Go, Panic alarm, Power 10-Way Driver & 6-Way Passenger Seats, Power driver seat, Power Lumbar Adjust, Power windows, Radio data system, Rain Sensitive Windshield Wipers, Rear 60/40 Split Folding Seat, Remote keyless entry, Remote Proximity Keyless Entry, Remote Start & Security Alarm Group, Remote Start System, Security Alarm, SIRIUSXM Satellite Radio, Speed control, Trip computer, Ventilated Front Seats, Wheels: 20" x 9" Semi-Gloss Black Aluminum. Odometer is 2942 miles below market average! At Mohawk Honda "We go out of our way to please you!" Hard to find 2016 Escalade ESV! Fully reconditioned including NEW TIRES! Check out the rear DVD entertainment system! New Price! Recent Arrival! This 2016 Cadillac Escalade ESV Luxury in Radiant Silver Metallic features: CARFAX One-Owner. Clean CARFAX. 16 Speakers, 3rd Row DVD Screen, Adjustable pedals, Air Conditioning, Auto High-beam Headlights, Automatic temperature control, CD player, Driver Awareness Package, Exterior Parking Camera Rear, Forward Collision Alert, Front fog lights, Garage door transmitter, HD Radio, Heads-Up Display, Heated & Cooled Front Bucket Seats, Heated rear seats, Heated steering wheel, IntelliBeam Headlamps, Lane Keep Assist, Leather Seating Surfaces, Leather steering wheel, Magnetic Ride Control Suspension, Memory seat, Navigation System, NavTraffic, Power passenger seat, Power Tilt-Sliding Sunroof w/Express-Open/Close, Rear Seat Entertainment System, Remote keyless entry, Roof rack, Security system, Single Slot CD/MP3 Player, Speed control, Spoiler, Traction control, Ventilated front seats. Odometer is 16801 miles below market average! At Mohawk Honda "We go out of our way to please you!" Just installed NEW TIRES!! Also New rear brakes and full services completed! New Price! Recent Arrival! This 2015 Jeep Grand Cherokee Limited in Brilliant Black Crystal Pearlcoat features: CARFAX One-Owner. Clean CARFAX. 18" x 8.0" Aluminum Polished Wheels, 6 Speakers, ABS brakes, Audio memory, Automatic temperature control, Brake assist, Class IV Receiver Hitch, Electronic Stability Control, Exterior Parking Camera Rear, Front dual zone A/C, Front fog lights, Fully automatic headlights, GPS Navigation, Heated front seats, Heated rear seats, High Pressure Tires Tracking, Memory seat, Power driver seat, Power Liftgate, Power Sunroof, Power windows, Quick Order Package 23H, Radio: Uconnect 8.4 NAV, Remote keyless entry, Security system, Speed control, Spoiler, Tilt steering wheel, Traction control, Trailer Tow Group IV, Trip computer. Odometer is 6868 miles below market average! Awards: * Green Car Journal 2015 Green SUV of the Year Based on 2017 EPA mileage ratings. Use for comparison purposes only. Your mileage will vary depending on how you drive and maintain your vehicle, driving conditions and other factors. At Mohawk Honda "We go out of our way to please you!" Crazy LOW MILES!! Don't miss this Rubicon with only 10k miles! New Price! Recent Arrival! This 2015 Jeep Wrangler Unlimited Rubicon in Black Clearcoat features: CARFAX One-Owner. Clean CARFAX. 17" x 7.5" Polished Mineral Gray Wheels, 8 Speakers, ABS brakes, Air Conditioning, Body Color 3-Piece Hard Top, Brake assist, Class II Receiver Hitch, Cloth Bucket Seats, Compass, Connectivity Group, Electronic Stability Control, Front fog lights, Leather steering wheel, Max Tow Package, Panic alarm, Power windows, Quick Order Package 24R, Remote keyless entry, Security system, Speed control, Steering wheel mounted audio controls, Tire Pressure Monitoring Display, Traction control, Trailer Tow w/4-Pin Connector Wiring, Trip computer, Vehicle Information Center. Odometer is 36269 miles below market average! At Mohawk Honda "We go out of our way to please you!" Best color! Priced UNDER BOOK value and just in time for spring! New Price! Recent Arrival! This 2016 Jeep Wrangler Unlimited Rubicon in Hydro Blue Pearlcoat features: CARFAX One-Owner. Accent Stitching, Alpine 9-Speaker w/All Weather Subwoofer, Black/Chrome Screws Fuel Filler Door, Body Color 3-Piece Hard Top, Chrome/Leather Wrapped Shift Knob, Connectivity Group, Driver Height Adjuster Seat, Dual Top Group, Front Seat Back Map Pockets, GPS Navigation, Heated Front Seats, Hood w/Power Dome, Jeep Trail Rated Kit, Leather Trimmed Bucket Seats, Leather Wrapped Steering Wheel, Low Gloss Black Wrangler Decal, MOPAR Slush Mats, Navigation System, Premium Black Sunrider Soft Top, Premium EVIC Message Center, Quick Order Package 24J Rubicon Hard Rock, Red Front & Rear Tow Hooks, Red Trail Rated Badge, Remote USB Port, Rubicon Hard Rock Package, Rubicon Hood Decal, Silver Interior Accents, Steel Front Bumper, Steel Rear Bumper, Sunrider Soft Top, Tire Pressure Monitoring Display, Uconnect Voice Command w/Bluetooth, Vehicle Information Center, Wheels: 17" x 7.5" Polished Semi-Gloss Black. At Mohawk Honda "We go out of our way to please you!" Awesome Audi Quattro priced $1500 under book value! New Price! This 2017 Audi A4 2.0T Premium Plus in Monsoon Gray Metallic features: Clean CARFAX. 10 Speakers, ABS brakes, Alloy wheels, Automatic temperature control, Brake assist, CD player, Compass, Electronic Stability Control, Exterior Parking Camera Rear, Front dual zone A/C, Front fog lights, High intensity discharge headlights: Xenon plus, Leather Seating Surfaces, Navigation System, Panic alarm, Power driver seat, Rain sensing wipers, Remote keyless entry, Speed control, Speed-Sensitive Wipers, Telescoping steering wheel, Traction control. 24/31 City/Highway MPG Awards: * 2017 KBB.com 10 Favorite New-for-2017 Cars * 2017 KBB.com Best Buy Awards At Mohawk Honda "We go out of our way to please you!" NEW TIRES and NEW BRAKES in the front! New Price! Recent Arrival! This 2016 Lexus RX 350 in Nebula Gray Pearl features: CARFAX One-Owner. 9 Speakers, ABS brakes, Automatic temperature control, Brake assist, CD player, Compass, Electronic Stability Control, Exterior Parking Camera Rear, Front Center Armrest, Front dual zone A/C, Front reading lights, Power driver seat, Power Liftgate, Power steering, Power windows, Radio data system, Radio: AM/FM/CD Lexus Display Audio, Remote keyless entry, Security system, Speed control, Speed-sensing steering, Tachometer, Traction control, Trip computer. 19/26 City/Highway MPG Awards: * 2016 KBB.com Best Resale Value Awards * 2016 KBB.com Brand Image Awards At Mohawk Honda "We go out of our way to please you!" New Price! Recent Arrival! This 2017 Jeep Wrangler Unlimited Sahara in Billet Silver Metallic Clearcoat features: CARFAX One-Owner. 18" x 7.5" Polished Satin Carbon Wheels, 4-Wheel Disc Brakes, 8 Speakers, Air Conditioning, Auto-dimming Rear-View mirror, Body Color Appliques Front Bumper, Body Color Appliques Rear Bumper, Body Color/Accent Color Grille, Brake assist, CD player, Compass, Electronic Stability Control, Front Bucket Seats, Front fog lights, Fully automatic headlights, Power door mirrors, Power windows, Quick Order Package 24G, Remote keyless entry, Security system, Speed control, Steering wheel mounted audio controls, Traction control, Trip computer. Awards: * 2017 KBB.com 10 Most Awarded Brands At Mohawk Honda "We go out of our way to please you!" New Price! Recent Arrival! This 2015 Jeep Grand Cherokee Limited in Brilliant Black Crystal Pearlcoat features: CARFAX One-Owner. 18" x 8.0" Aluminum Polished Wheels, 6 Speakers, ABS brakes, Automatic temperature control, Brake assist, Compass, Electronic Stability Control, Exterior Parking Camera Rear, Front dual zone A/C, Front fog lights, GPS Antenna Input, Heated front seats, Heated rear seats, High Pressure Tires Tracking, Panic alarm, Power driver seat, Power windows, Quick Order Package 23H, Radio: Uconnect 5.0, Rear Parking Sensors, Security system, Speed control, Steering wheel mounted audio controls, Traction control, Trip computer. Odometer is 7714 miles below market average! Awards: * Green Car Journal 2015 Green SUV of the Year Based on 2017 EPA mileage ratings. Use for comparison purposes only. Your mileage will vary depending on how you drive and maintain your vehicle, driving conditions and other factors. At Mohawk Honda "We go out of our way to please you!" Fully serviced and ready to go! New Price! Recent Arrival! This 2015 Honda Pilot EX-L in Dark Cherry Pearl features: Clean CARFAX. 18" Alloy Wheels, 3rd row seats: split-bench, 7 Speakers, ABS brakes, Automatic temperature control, Brake assist, CD player, Electronic Stability Control, Exterior Parking Camera Rear, Front fog lights, Front reading lights, Heated Front Bucket Seats, MP3 decoder, Overhead airbag, Power driver seat, Power Liftgate, Power moonroof, Rear air conditioning, Remote keyless entry, Security system, Speed control, Speed-sensing steering, Steering wheel mounted audio controls, Traction control. Odometer is 2091 miles below market average! Awards: * 2015 KBB.com Brand Image Awards 2016 Kelley Blue Book Brand Image Awards are based on the Brand Watch(tm) study from Kelley Blue Book Market Intelligence. Award calculated among non-luxury shoppers. For more information, visit www.kbb.com. Kelley Blue Book is a registered trademark of Kelley Blue Book Co., Inc. At Mohawk Honda "We go out of our way to please you!" New Price! Recent Arrival! This 2017 Ford Focus SE in Race Red features: Clean CARFAX. PREVIOUS RENTAL, 16" Painted Aluminum Wheels, 6 Speakers, ABS brakes, Air Conditioning, Brake assist, CD player, Compass, Delay-off headlights, Electronic Stability Control, Exterior Parking Camera Rear, Fully automatic headlights, Low tire pressure warning, Outside temperature display, Power door mirrors, Power windows, Radio: AM/FM Single-CD/MP3-Capable, Rear window defroster, Remote keyless entry, Speed control, Split folding rear seat, Steering wheel mounted audio controls, SYNC Communications & Entertainment System, Telescoping steering wheel, Tilt steering wheel, Traction control. Odometer is 1466 miles below market average! 26/38 City/Highway MPG Awards: * 2017 KBB.com 10 Most Awarded Brands * 2017 KBB.com Brand Image Awards At Mohawk Honda "We go out of our way to please you!" New Price! Recent Arrival! This 2016 Honda Accord LX in Modern Steel Metallic features: CARFAX One-Owner. Clean CARFAX. Certified. 16" Alloy Wheels, 160-Watt AM/FM/CD Audio System, ABS brakes, Automatic temperature control, Brake assist, CD player, Cloth Seat Trim, Electronic Stability Control, Exterior Parking Camera Rear, Front dual zone A/C, Fully automatic headlights, Power windows, Remote keyless entry, Security system, Speed control, Tilt steering wheel, Traction control, Trip computer. Odometer is 14729 miles below market average! 27/37 City/Highway MPG Honda Certified Pre-Owned Details: * Transferable Warranty * Powertrain Limited Warranty: 84 Month/100,000 Mile (whichever comes first) from original in-service date * 182 Point Inspection * Limited Warranty: 12 Month/12,000 Mile (whichever comes first) after new car warranty expires or from certified purchase date * Warranty Deductible: $0 * Roadside Assistance with Honda Care purchase * Vehicle History Awards: * ALG Residual Value Awards * 2016 KBB.com Brand Image Awards 2016 Kelley Blue Book Brand Image Awards are based on the Brand Watch(tm) study from Kelley Blue Book Market Intelligence. Award calculated among non-luxury shoppers. For more information, visit www.kbb.com. Kelley Blue Book is a registered trademark of Kelley Blue Book Co., Inc. At Mohawk Honda "We go out of our way to please you!" Recent Arrival! This 2016 Honda Civic LX in Taffeta White features: CARFAX One-Owner. Clean CARFAX. Certified. 4 Speakers, ABS brakes, Automatic temperature control, Brake assist, Electronic Stability Control, Exterior Parking Camera Rear, Front reading lights, Fully automatic headlights, Panic alarm, Radio data system, Security system, Speed control, Steering wheel mounted audio controls, Tilt steering wheel, Traction control. 31/41 City/Highway MPG Honda Certified Pre-Owned Details: * Vehicle History * 182 Point Inspection * Limited Warranty: 12 Month/12,000 Mile (whichever comes first) after new car warranty expires or from certified purchase date * Transferable Warranty * Warranty Deductible: $0 * Powertrain Limited Warranty: 84 Month/100,000 Mile (whichever comes first) from original in-service date * Roadside Assistance with Honda Care purchase Awards: * 2016 IIHS Top Safety Pick+ (When equipped with honda sensing) * NACTOY 2016 North American Car of the Year * 2016 KBB.com Brand Image Awards 2016 Kelley Blue Book Brand Image Awards are based on the Brand Watch(tm) study from Kelley Blue Book Market Intelligence. Award calculated among non-luxury shoppers. For more information, visit www.kbb.com. Kelley Blue Book is a registered trademark of Kelley Blue Book Co., Inc. At Mohawk Honda "We go out of our way to please you!" Recent Arrival! This 2016 Honda Civic EX-T in Aegean Blue Metallic features: CARFAX One-Owner. Clean CARFAX. Certified. 8 Speakers, ABS brakes, Air Conditioning, Alloy wheels, Brake assist, Cloth Seat Trim, Compass, Electronic Stability Control, Exterior Parking Camera Rear, Front fog lights, Heated front seats, Overhead airbag, Panic alarm, Power moonroof, Power windows, Radio data system, Radio: 180-Watt AM/FM/HD/SiriusXM Audio System, Security system, Speed control, Spoiler, Steering wheel mounted audio controls, Tilt steering wheel, Traction control, Trip computer, Variably intermittent wipers. 31/42 City/Highway MPG Honda Certified Pre-Owned Details: * Transferable Warranty * Limited Warranty: 12 Month/12,000 Mile (whichever comes first) after new car warranty expires or from certified purchase date * Vehicle History * Powertrain Limited Warranty: 84 Month/100,000 Mile (whichever comes first) from original in-service date * Warranty Deductible: $0 * Roadside Assistance with Honda Care purchase * 182 Point Inspection Awards: * 2016 IIHS Top Safety Pick+ (When equipped with honda sensing) * NACTOY 2016 North American Car of the Year * 2016 KBB.com Brand Image Awards 2016 Kelley Blue Book Brand Image Awards are based on the Brand Watch(tm) study from Kelley Blue Book Market Intelligence. Award calculated among non-luxury shoppers. For more information, visit www.kbb.com. Kelley Blue Book is a registered trademark of Kelley Blue Book Co., Inc. At Mohawk Honda "We go out of our way to please you!" Recent Arrival! This 2017 Jeep Cherokee Limited in Billet Silver Metallic Clearcoat features: CARFAX One-Owner. Clean CARFAX. 1 Year Trial (Registration Required), 5-Year SiriusXM Traffic Service, 5-Year SiriusXM Travel Link Service, 6 Speakers, 7 & 4 Pin Wiring Harness, 8.4" Touchscreen Display, Auxiliary Transmission Oil Cooler, Class III Receiver Hitch, Electronic Stability Control, GPS Navigation, HD Radio, High intensity discharge headlights: Bi-Xenon, Integrated Voice Command w/Bluetooth, Quick Order Package 26G, Radio: Uconnect 3C Nav w/8.4" Display, Security system, SIRIUSXM Satellite Radio, SiriusXM Traffic, SiriusXM Travel Link, Speed control, Trailer Tow Group, Trailer Tow Wiring Harness, Uconnect Access, Wheels: 18" x 7" Painted Aluminum. 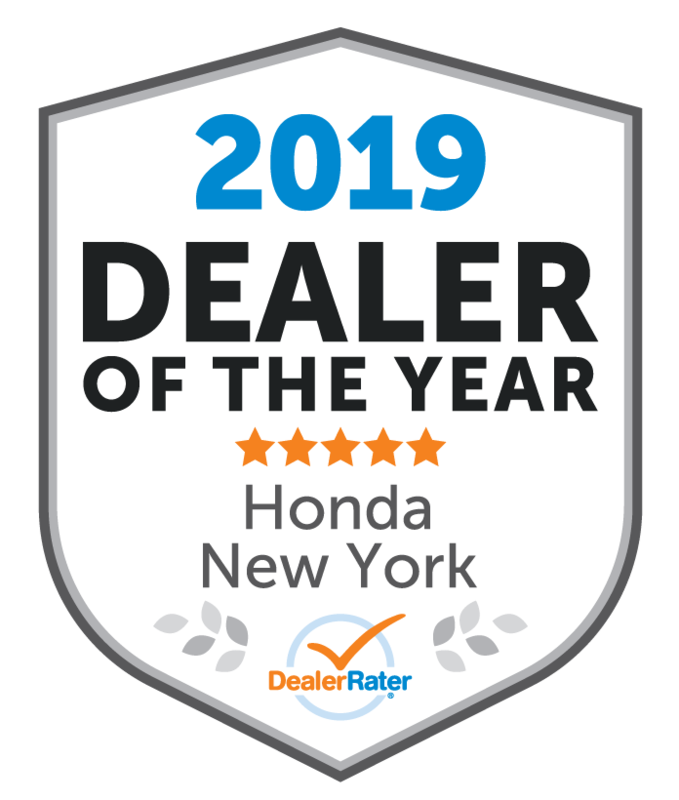 Awards: * 2017 KBB.com 10 Most Awarded Brands At Mohawk Honda "We go out of our way to please you!" Recent Arrival! This 2016 GMC Sierra 1500 SLE in Cardinal Red features: CARFAX One-Owner. Clean CARFAX. 6 Speakers, ABS brakes, Air Conditioning, Alloy wheels, CD player, Compass, Deep-Tinted Glass, Electronic Stability Control, Emergency communication system, Front Frame-Mounted Black Recovery Hooks, Fully automatic headlights, HD Radio, Heated door mirrors, Illuminated entry, Low tire pressure warning, Power windows, Rear Vision Camera w/Dynamic Guide Lines, Remote Keyless Entry, Remote keyless entry, Single Slot CD/MP3 Player, Speed control, Traction control, Trip computer. Odometer is 4592 miles below market average! Awards: * 2016 KBB.com Brand Image Awards At Mohawk Honda "We go out of our way to please you!" Recent Arrival! This 2016 Toyota Highlander in Blizzard Pearl features: CARFAX One-Owner. Clean CARFAX. 3rd row seats: split-bench, Air Conditioning, Brake assist, CD player, Electronic Stability Control, Exterior Parking Camera Rear, Fully automatic headlights, Overhead airbag, Overhead console, Power steering, Power windows, Rear air conditioning, Reclining 3rd row seat, Remote keyless entry, Speed control, Speed-sensing steering, Spoiler, Tilt steering wheel, Traction control, Trip computer. Odometer is 1377 miles below market average! Awards: * 2016 KBB.com Best Buy Awards Finalist * 2016 KBB.com 16 Best Family Cars At Mohawk Honda "We go out of our way to please you!"